Thomas comes from a developer background working more than a decade as a software developer with Microsoft technologies. He then worked several years as a Project Manager with classic waterfall methodologies before he discovered agile as his new favorite approach. He ran his first agile project in 2005 and started using Scrum in 2008. In 2010 he joined scrum.org and became a PSD.Net Trainer. Since this time he helped numerous individuals and companies to introduce or improve scrum. He does trainings and works with teams helping to improve their agile skills. For Thomas this not only means to understand and adopt scrum but to get the best out of agile practices like continuous delivery, test automation, self-organized teams, build-measure-learn and many others. From his broad background and experiences he is able to teach developers using these practices. His current passion is DevOps which brings great benefits for organizations by gaining the ability to deliver software in shorter release cycles. Additionally he is very passionate about agile architecture to allow teams to create testable and maintainable code to balance sustainability with optimum value creation. He worked almost his whole time as a professional with Microsoft technologies. He is focused on Microsoft Visual Studio and Azure DevOps and has been continuously awarded since 2007 with the Microsoft MVP award. 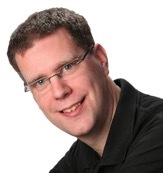 He is a community player, running a local user group and speaking regularly on German and international conferences. He is also open to other agile methodologies beside Scrum like Kanban combining the best out of each, for the specific scenarios of his customers. As one of two stewards he keeps the curriculum of the PSD training up to date for scrum.org and the PST community.